Ever since she was a baby, the words people use to describe Elyse have instantly appeared on her arms and legs. 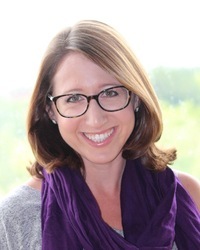 At first it was just “cute” and “adorable,” but as she’s gotten older and kids have gotten meaner, words like “loser” and “pathetic” appear, and those words bubble up and itch. And then there are words like “interesting,” which she’s not really sure how to feel about. Now, at age twelve, she’s starting middle school, and just when her friends who used to accept and protect her are drifting away, she receives an anonymous note saying “I know who you are, and I know what you’re dealing with. I want to help.” As Elyse works to solve the mystery of who is sending her these notes, she also finds new ways to accept who she is and to become her best self. 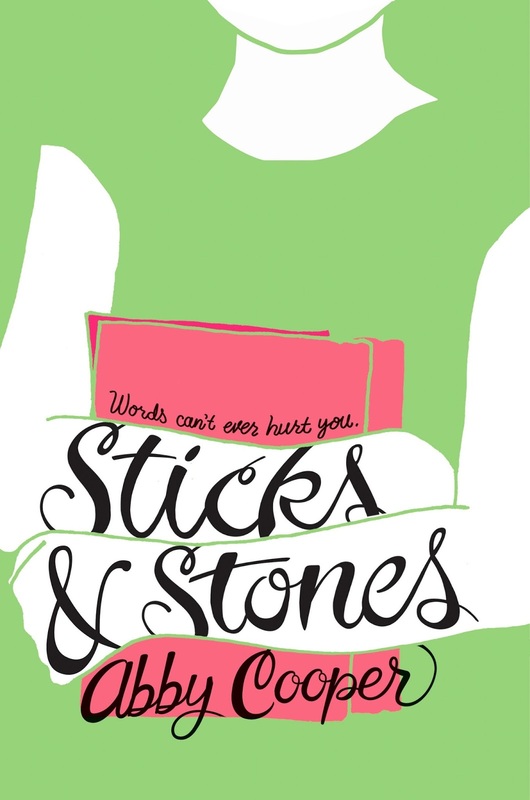 Having experienced bullying, I was immediately intrigued by the concept of this book. It was interesting to see the idea of someone who had names she was called appear on her body… and it was easy to care about Elyse. I saw a lot of how I felt when I was younger and it was hard to pull back emotionally from her at times. It was good to see Elyse interacting with other students and I thought it was an interesting touch to have her and the other members of her class writing letters to their future selves. It was good to see the sort of things that were important to her and how she grew and evolved during the course of the book. I was a bit confused by how old she was, though, since I’d assumed she was an older teenager and then the narration seemed to imply she was younger. I didn’t especially like Jeg and my estimation of her went down the more I read of the book. In a way, she was worse than Ami – who didn’t change who she was, even though she wasn’t a very nice person. While I could understand why Elyse’s parents were so over-protective of her, it seemed like her mother in particular really struggled to let go. While I did think her father was quite emotionally distant, his responses did make sense as he opened up to and talked to Elyse later on in the book. I thought there was a nice bit of mystery involved in the letters Elyse received and it was good to see them encouraging her to do more and not be so afraid to act. There was a lot of nice buildup to the trip away and although there were some areas where the storyline was glossed over a little, for the most part, I could picture a lot of the events happening inside my head. This book wasn’t as hard to read as some books I’ve picked up, but it did contain a lot of deeper emotion and I really cared about Elyse and her goals, to the point where I was getting angry on her behalf. I’d be interested in reading more books by this author in the near future. Some people don’t think that one word can make a difference. Sure, some words need to be around other words to make sense. They need to hang out together in a book or a song or a text message, or else you’re stuck wrinkling your nose like HUH? That doesn’t make any sense. But some words don’t need others. They have big-time serious meaning all by themselves. I knew that better than anyone. Like when it came to talking about me going to middle school this year. Mom said it would be different. Dr. Patel said it would be challenging. Dad said it would befine. They just needed one word each to sum up what they thought a whole year would be like … and, so far, they were right. One word nobody used, though? Mysterious. And right now, that was the most important word of all. I reached into my pocket and dug around until I found the folded blue paper again. Maybe it was a letter from a secret admirer or a gift certificate to Soup Palace, otherwise known as the Best Place on Earth. Maybe it was nothing at all. But it had to be something. It had my name on the front, after all, and was taped to my locker. I was dying to open it, but even if I found a way to read it sneakily, Ms. Sigafiss would probably see me and read it to everyone or rip it up or something. And that was if she was in a good mood. I looked around the room, thinking about words. They were just words, but they could change my whole life. In fact, they already had. 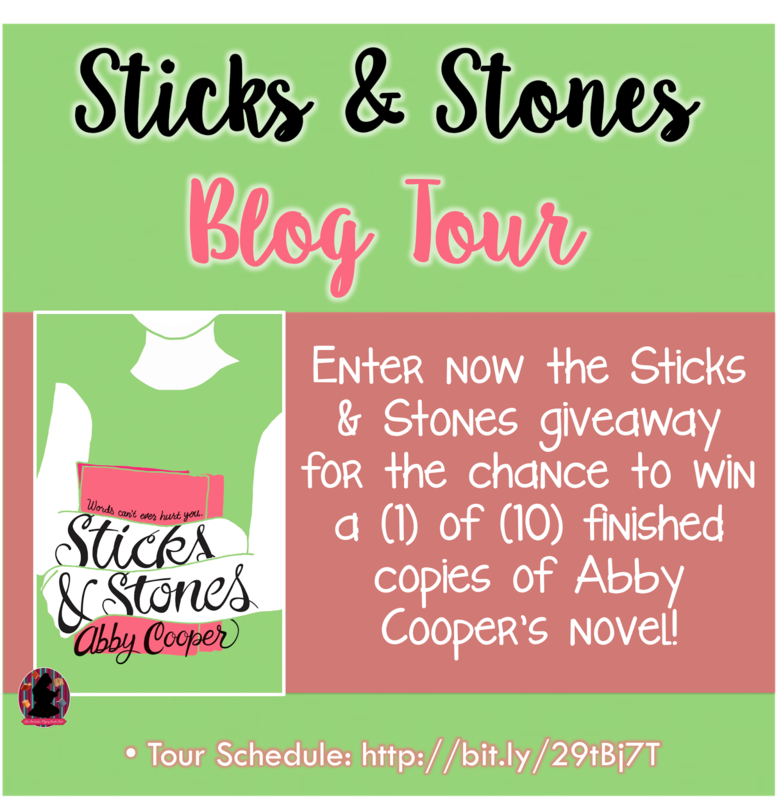 Follow the Sticks & Stones by Abby Cooper Blog Tour and don’t miss anything! Click on the banner to see the tour schedule.